This entry was posted in Extraordinary Individuals, Religious Leaders and tagged Chacham, Iraq, Iraqi Jews, Israel, Jerusalem, Jewish Agency, Kurdi Jews, Kurdistan, Mizrahi Jews, Orthodox Jews, Rabbi, Record Holders, Sephardic Jews, War of Independence, World War I, World War II, Zionism on March 9, 2017 by Jew of the Week. Israel Meir Kagan (1839-1933) was born in what is today Belarus to an Orthodox Polish-Jewish family. After his father’s passing when he was just ten years old, the family moved to Vilnius where Kagan continued his Jewish studies. Quickly noted as a great scholar, at the age of 17 he was married and appointed rabbi of the town of Radin. Soon after, he founded the Radin Yeshiva, which would go on to become one of the greatest yeshivas in the Ashkenazi world. Meanwhile, Rabbi Kagan wrote many popular books of wisdom, most notably Chofetz Chaim, a book about the laws of proper speech, the title of which became Rabbi Kagan’s nickname. His Mishna Berura became a standard text of Jewish law, and still used extensively today. He wrote nearly two dozen other books on a wide array of topics. 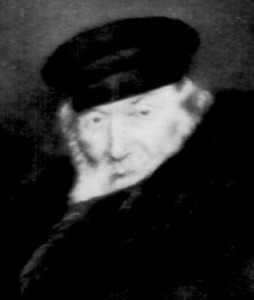 At the same time, the Chofetz Chaim traveled across Europe to inspire Jews to observe the Torah, and to counter the growing secular movement. He was also an important member of Agudath Israel. Click here to see rare footage of the Chofetz Chaim at the First Congress of Agudath Israel in 1923. 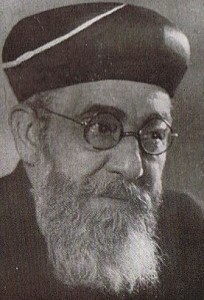 Ben-Zion Meir Chai Uziel (1880-1953) was born in Jerusalem, the son of the president of the city’s Sephardic community. Like the Chofetz Chaim, Uziel was also quickly noted as a great scholar, and by age 20 founded his own yeshiva. 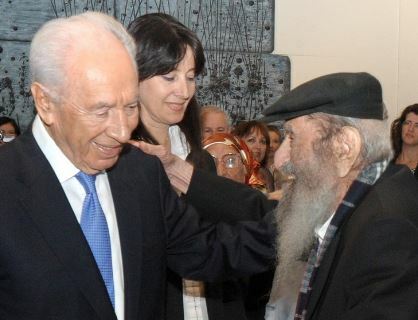 By 31, he was the Sephardic Chief Rabbi of Jaffa, where he worked alongside his Ashkenazi counterpart, Rabbi Kook, bridging the two communities together. During World War I, he worked tirelessly to stop the persecution of Jews, which earned him a sentence of exile in Damascus. In 1923 he returned to Israel as the Chief Rabbi of Tel-Aviv, and in 1939 became the Sephardic Chief Rabbi of Israel, a post he held until his passing in 1953. Rabbi Uziel was a founding member of the Jewish Agency, and played a key role in the founding of the State of Israel. Of course, he wrote a great deal of widely-read Torah thought and commentary as well. 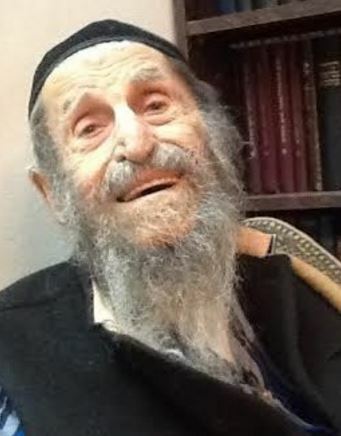 Rav Uziel and the Chofetz Chaim passed away on the same day, twenty years apart: the 24th of Elul. This entry was posted in Religious Leaders, Writers & Thinkers and tagged Agudas Yisroel, Belorussian Jews, Chief Rabbi, Chofetz Chaim, Damascus, Israel, Jaffa, Jerusalem, Jewish Agency, Jewish Law, Judaism, Mishna Berura, Orthodox Jews, Polish Jews, Rabbi, Radin, Sephardic Jews, Torah, Vilnius, World War I, Yeshiva on September 8, 2015 by Jew of the Week.